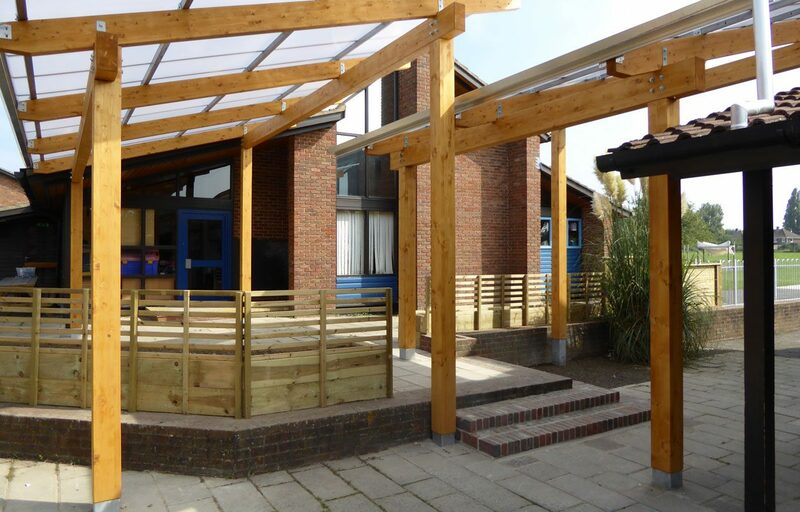 Timber canopies installed create outdoor shelter. 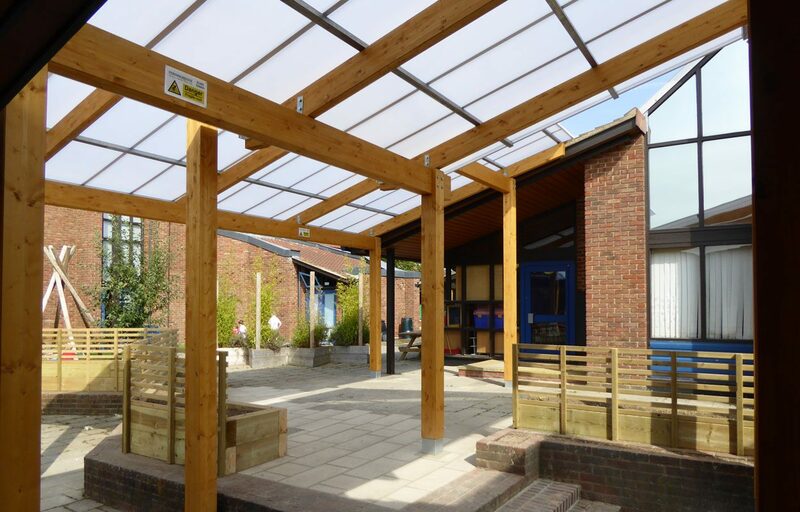 Two structural glulaminated timber canopies offer separate covered outdoor spaces for Trosnant Junior School in Hampshire. 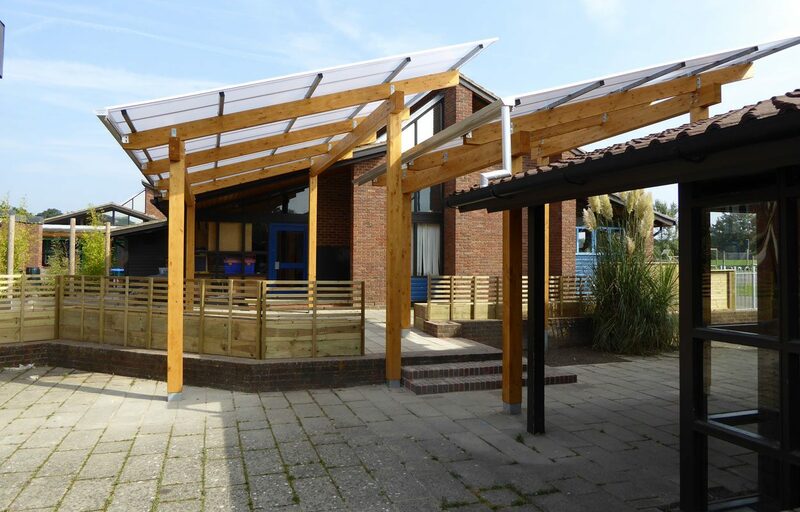 The bespoke designs sit prominently within the surrounding context and create a covered courtyard area for students and staff. 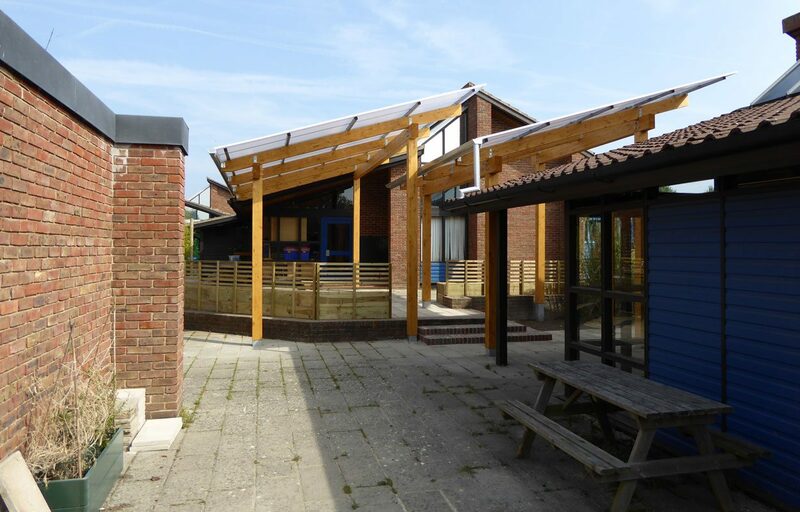 The canopies also act as a covered walkway when transferring between buildings. 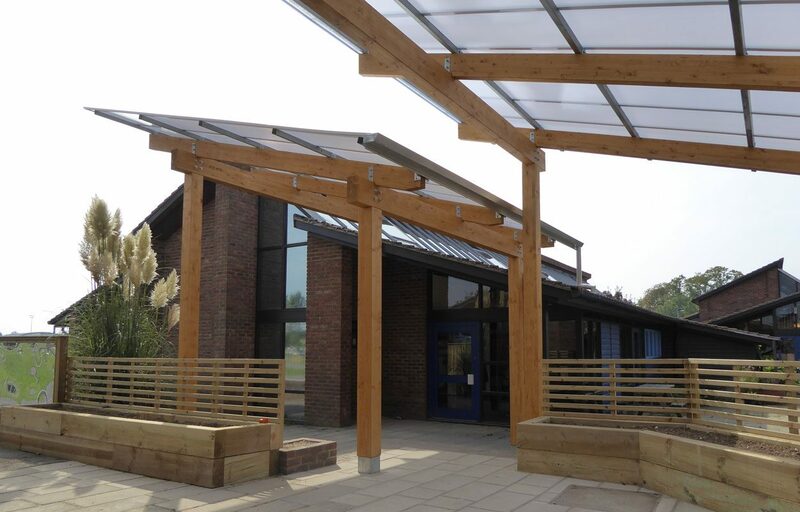 The stained light oak frame is finished by a 16mm triple walled polycarbonate roofing solution and mill finished aluminium gutters. 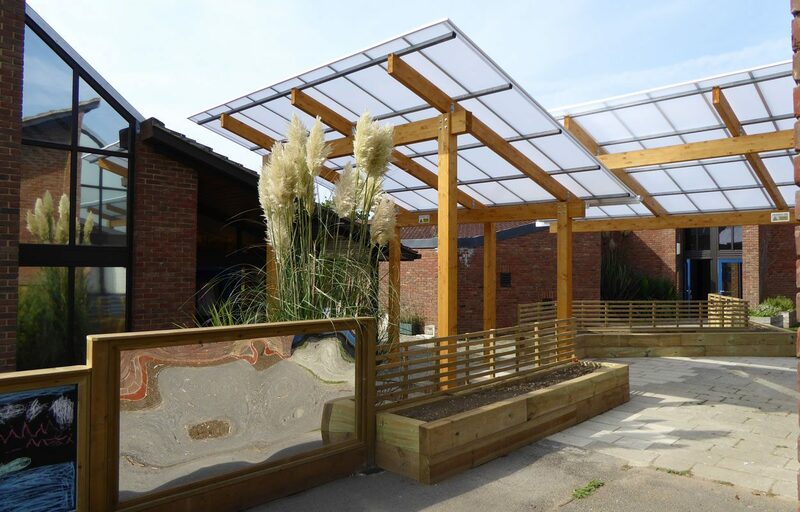 All of our timber structures are FSC and PEFC accredited and all steel elements involved are CE marked. 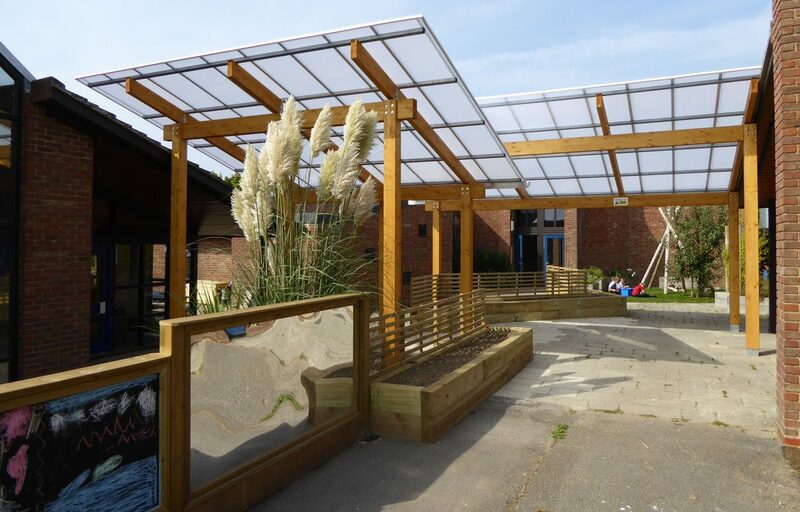 The benefit of using engineering efficiency in all that we do brings the added advantage of offering sustainability at no extra cost. 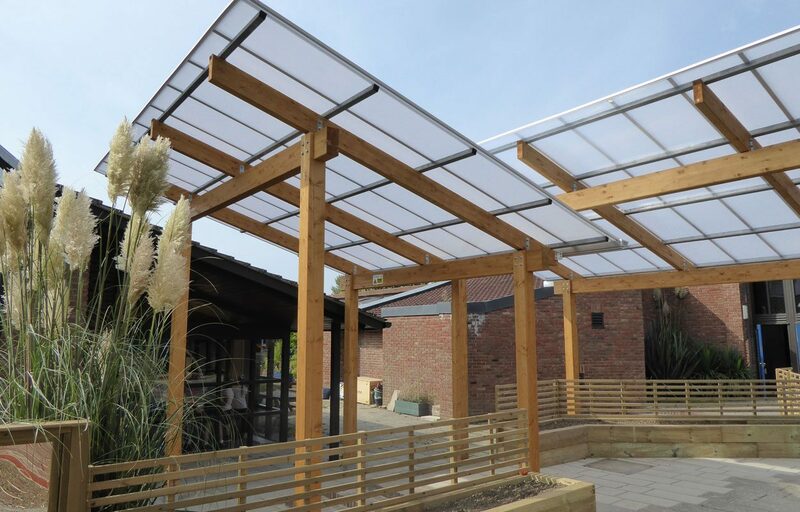 Roof: A hard-wearing translucent 16mm triple walled polycarbonate. 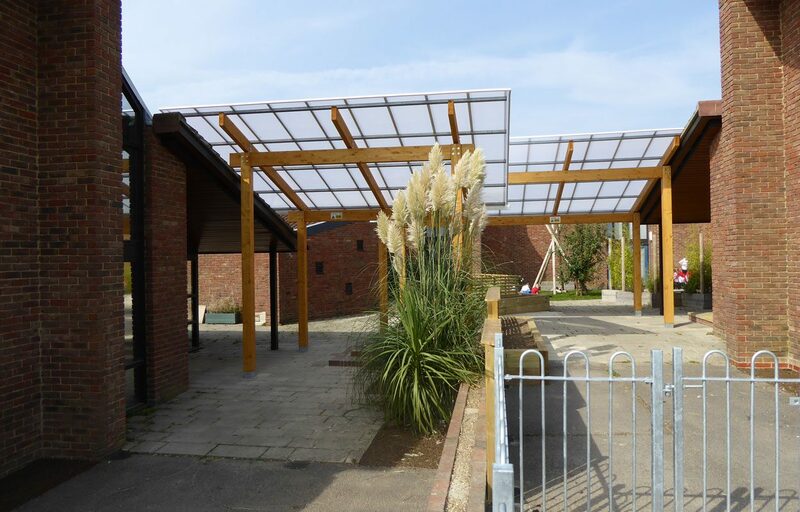 This covering has a guarantee of 15 years.